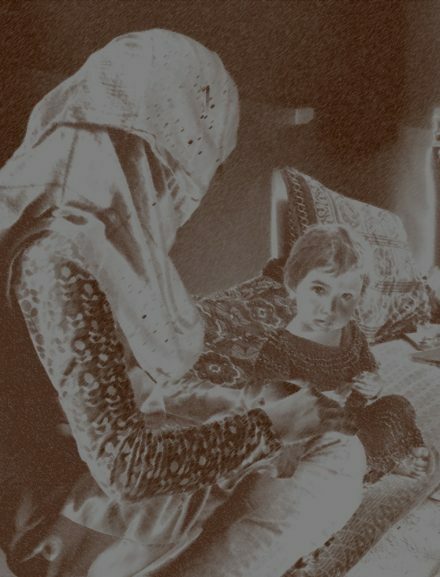 Surkh Gul with her daughter. “My family’s water well has dried up,” 18-year-old Surkh Gul said. “Ours too,” echoed 13-year-old Inaam. A U.S. and Afghan Geological Survey of Kabul Basin’s water resources found that about half of the shallow groundwater supply could become dry by 2050 due to declining recharge and stream-flows under projected climate change. For years, the Danish Committee for Aid to Afghan Refugees has also highlighted this water crisis to the Afghan government. But, the U.S./NATO/Afghanistan coalition and mainstream media have been so occupied with the business of a failed ‘war on terror’ that basic human development and needs are glossed over or ignored. It’s no wonder that on some days she feels like she’s going mad. Sometimes, when she visits us, we can tell she’s stressed and moody: she speaks in edgy bursts, her voice is harsh and her eyes are restless, underlined by tear stains. “Last year, the 28-metre-deep well in the house we rented dried up. The rich landlord hired well-diggers, whose cranes and shafts are everywhere these days. They dug 70 metres below ground to reach the dropping water table,” Zekerullah recounted. As such, Zekerullah had immediately understood the threat which an oil pipeline poses to the water resources of the Standing Rock community. On behalf of the Afghan Peace Volunteers, he sent a video message in solidarity with Standing Rock’s ‘water protectors’. “The oil companies and the U.S. government are just thinking about money,” Zekerullah concluded. Other than token words, little is being done to address climate change or to save the people of Kabul from running out of a basic requirement of life — water. Instead, to extract profitable minerals like copper, the elite are ready to compromise on water protection. President Trump had suggested that Afghanistan’s vast mineral wealth can be a good justification for the continued U.S. war. He was in discussion with Afghan President Ashraf Ghani, ex- World Bank staff, about this war-mineral business opportunity. 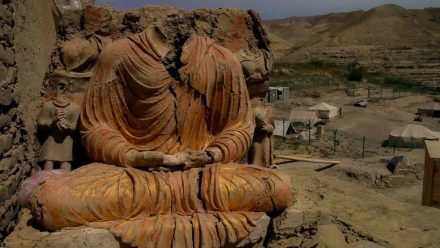 In 2013, the Alliance for the Restoration of Cultural Heritage and an Afghan resident ‘requested‘ for an investigation of the World Bank’s management, oversight and funding of the copper mine at Mes Aynak just outside Kabul. Supported by 110,000 Afghan signatories, the ‘requesters’ stated that the World Bank’s negligence “in not ensuring that environmental safeguards are in place, imminently endangers the health of the population living there, the quantity and safety of their water supply and (…) the Kabul River….”. The mine will cause “heavy losses’’ to community members and to the culture and history of Afghanistan. A Panel evaluated the ‘Request’ and concluded that it “does not recommend an investigation” of the World Bank. We have ample evidence of the lack of transparency and integrity in such enterprise in many parts of the world. In the recently leaked 13.4 million documents called the “Paradise Papers”, Glencore, a huge Anglo-Swiss mining and commodity trading company involved in copper and other mining in conflict-ridden DR Congo, had made a loan to a corrupt Israeli billionaire middle man with close ties to the DR Congo government, asking him to negotiate for mining rights. The eyes of potential investors and benefactors, corporations and governments alike, are fixed on ‘profit’, not on the potentially disastrous pollution and depletion of the water supply to Mes Aynak and Kabul residents! This does not auger well for Surkh Gul, Inaam, and the estimated 6 million residents of Kabul. Crises like these have roots in our capitalistic belief that a ‘bottom-line’ policy of generating ‘profit and growth’, private or government, is good for a country’s economy, and that this would benefit everyone. But math, science, evidence and experience prove that this predatory ‘profit’ is inequitably directed to the pockets of the ‘1%’, many of whom are corrupt, leaving the vast majority of people deprived even of their basic human needs. Such profit is often secured from wars, and from exploiting Mother Earth and Nature. Wars have destroyed many irrigation and water retention systems. 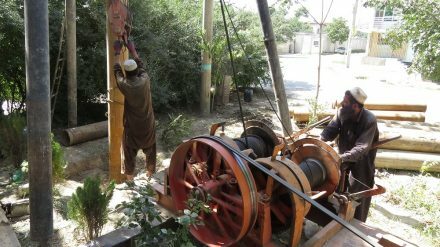 Only 2% of Afghanistan is forested, her trees extensively cut down through logging. Kabul’s life-threatening water crisis will not illicit any action unless we dismantle our oligarchic practices and understand that when fellow human beings like Surkh Gul and Inaam don’t have access to water, each of us will hurt too, if not now, then eventually. We, Mother Nature and the human family, are all related. 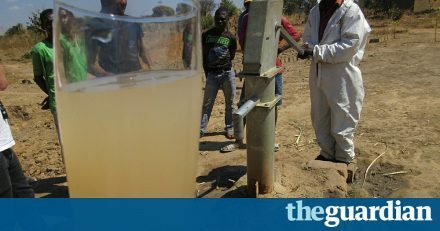 We can empathize, just as Inaam did, with villagers in Zambia, whose drinking water, rivers, streams and underground aquifers have been contaminated by a London-listed copper mine. Inaam remembers the photos of turbid water he saw in the nonviolence class at the Borderfree Street Kids School he attends. I fear for the decent survival of Afghans, our Earth and the human family, as we have become so attracted to ‘profit’ that we mistake it for ‘progress’. Such ‘profit and progress’ have no respect for science or life, so it may very well lead to our species’ eventual extinction. Stephen Hawking warns us that we may need to vacate to another planet in the next 100 years. More than 15,000 scientists have warned us that our current ways of living could destroy us. If our ‘thinking as usual’ and ‘business as usual’ continue, we will leave no historical traces at Mes Aynak or Kabul except for mining and digging machines, in a parched desert of war ruins. Surkh Gul, her daughter and Inaam will have to flee for their lives, but where to, on our warming and warring Earth? Dr Hakim, (Dr. Teck Young, Wee) is a medical doctor from Singapore who has done humanitarian and social enterprise work in Afghanistan for more than 10 years, including being a mentor to the Afghan Peace Volunteers, an inter-ethnic group of young Afghans dedicated to building non-violent alternatives to war. He is the 2012 recipient of the International Pfeffer Peace Prize and the 2017 recipient of the Singapore Medical Association Merit Award for contributions in social service to communities. Read other articles by Dr. Hakim. This article was posted on Tuesday, November 14th, 2017 at 12:55am and is filed under Afghanistan, Culture, Democratic Rep. Congo, Denmark, Donald Trump, Environment, Logging, Militarism, Mining, NATO, Transparency/Secrecy, United States, War, Water, Zambia.